Whenever you are planning for an upcoming move, preparing ahead of time is essential to ensure you are truly ready to take on the task of the big moving day itself. Using a few tips to help pack up your belonging in preparation for a move is a way to save time without feeling completely overwhelmed and unable to do so on your own. Preparing for a move as early as possible is always recommended, whether you are moving a studio apartment or a three-story household to a new location. Consider the items you have in your home and which furniture you intend to take with you to your new home. Conduct a thorough walkthrough of your home and if you have plenty of personal belongings and areas with collectibles, create an inventory sheet to keep better track of everything you own. Moving quickly becomes hectic when transporting furniture and belongings to a new location, so having an inventory sheet is advisable when you are protecting items that are extremely valuable to you and your family. Get organized with moving boxes along with labels and permanent markers. Have plenty of packing tape available along with scissors and additional packing material such as peanuts or foam. Once you have all of your packing materials ready, determine the type of boxes you want to use for specific rooms or items you plan to pack first. Once you begin going through clothing, furniture, electronics, collectibles, and junk, there are a few routes available to take. Throw away useless junk or belongings that simply take up space and likely offer no value to others. Donate goods or clothing that are still in good condition but are no longer useful to you. It is also possible to sell some of your furniture or personal belongings before finalizing your move by asking family and friends. Post your belongings using social media and various online local groups to help make a bit of extra money to help cover upcoming moving costs. 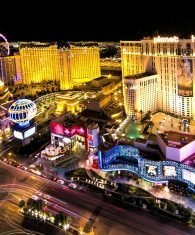 Hiring a professional moving company in your area, like ours in Las Vegas, is one way to ensure all of your belongings and furniture are safely and securely transported to your new home or apartment. 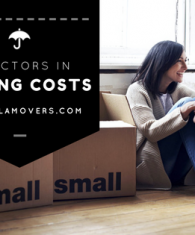 Working together with a company that specializes in moving is a way to keep your mind at ease while easing some of the stress that naturally comes with moving into a new home. Hiring a professional moving service is ideal as reputable companies are insured and conduct thorough background checks to ensure the safety and protection of clients at all times. The right moving service is able to ease the transition for you as you adjust to your new dwelling. Utilizing a few tips and tricks regarding packing is essential when you want to work as effectively and efficiently as possible prior to your set moving date itself. 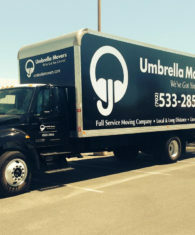 If you are ready to begin packing and preparing for your upcoming move near Las Vegas, give us a call today for help and assistance on or before moving day.